Have an energy bill to pay with PSEG Long Island? With this payment guide you can understand your payment options and get your bill paid in the most suitable way. Have an online account or want to register? To make a payment online or manage your account, follow the link provided below on this page to the PSEG Long Island login. You will also find useful “pay my bill” information such as the customer service number, payment mailing address, and billing phone number below. There are plenty of payment options provided by PSEG Long Island. In addition to these options, you can also transfer payments with your bank or through your bank’s online service. For more information, contact (800) 490-0025. Pay Online: The My Account service offers a complete overview of your PSEG customer account, so you can keep on top of your energy usage. You can also make bill payments through this online service. To make your PSEG Long Island bill payment online click the “Pay Online” button below to login, register, view your bill or manage your account online. Direct Payments: With direct payments you can ensure that your bills are paid on time every month. This is an automatic payment schedule where payments are taken directly from your bank. To enroll you can complete the enrollment form available online, or enroll directly online. Pay by Phone: PSEG Long Island offers an automated phone system available around the clock. Call 800-490-0025. Pay by Mail: Checks can be mailed to: PSEG Long Island Customer Relations, P.O. Box 888 Hicksville, NY 11802-0888. Do not send cash. Please include your PSEG Long Island account number on your check. Your account number is located on your statement. To ensure your PSEG Long Island payment is received on time it is recommended that you mail your payment at least 5 business days prior to the due date shown on your monthly billing statement. Pay in Person: There are numerous customer service centers and pay stations situated across Long Island. Customer service centers are open 8:30AM – 5PM Monday – Friday. A list of authorized payment stations are provided at the PSEG Long Island website. Business customers have the same payment options available to them as residential customers. The My Account service offers the easiest and most convenient way to manage your commercial PSEG account and pay your bills. Pay by Phone: Call the dedicated Business Call Center at 800-966-4818. You can also call 800-490-0025 / 631-755-6000. Pay by Mail: Send a check to: PSEG Long Island Customer Relations, P.O. Box 888, Hicksville, NY 11802-0888. Do not send cash. If you are experiencing financial difficulties and are struggling to pay your bills, PSEG offers a number of support services and financial assistance programs that may be able to help you out. Programs include HEAP (Home Energy Assistance Program), Household Assistance Rate, REAP (Residential Energy Affordability Partnership) and Project Warmth. The Household Assistance Rate provides a discount on bill system charges, while HEAP offers financial assistance for income-eligible households. PSEG took over the management and operation of the electric grid (from National Grid) in Long Island from LIPA in 2011. PSEG Long Island has pledged to deliver the same quality of service delivered by other PSEG utilities, and has many improvements and updates planned for the island’s electricity infrastructure. Their current responsibilities and commitments are outlined at the PSEG Long Island website. Are you a customer with Rochester Gas & Electric (RG&E) and need to make a utility bill payment? We have you covered. Select the most suitable payment option from the ones provided here and get your bill paid. To pay online, follow the link provided to the RG&E login page. To make a payment online or manage your account, follow the link provided below on this page to the RG&E bill pay login. You will also find useful “pay my bill” information such as the customer service number, payment mailing address, and billing phone number below. In addition to the following payment options, you can also pay your RG&E utility bill by arranging a payment with your banking provider. 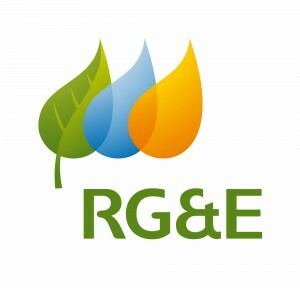 Pay Online: RG&E offers an e-bill service for all customers. This service supports online payments, and you can choose to pay your bills as and when you need to, or you can instead enroll in monthly automatic payments. You can view up to 13 months of bill history with this service. To login or register for this service follow the link provided on this page. There are no fees for making payments with this service. To make your RG&E bill payment online click the “Pay Online” button below to login, register, view your bill or manage your account online. Pay by Mail: To make a mail payment to RG&E, send a check or money order along with your payment stub to: RG&E , P.O. Box 847813, Boston, MA 02284-7813. Please include your RG&E account number on your check. Your account number is located on your statement. To ensure your RG&E payment is received on time it is recommended that you mail your payment at least 5 business days prior to the due date shown on your monthly billing statement. Pay by Phone: Call 1.800.295.7323 to make a payment over the phone. Pay by Credit Card: RG&E is partnered with payment services company KUBRA to allow its customers to pay their bills by credit or debit online. Supported cards are Discover, Visa, MasterCard, debit and ATM. There is a convenience fee of $2.95 for payments under $5,000. Follow the link provided at the RG&E website to use this service. Pay in Person: There are many RG&E office locations in the RG&E service area (below), and you can also pay at Authorized CheckFreePay (Walmart, Kmart) locations and at Western Union Pay Agents. Whether you want to start a new service with RG&E, or are moving home and need to stop, you must fill in the relevant forms provided at the Rochester Gas & Electric website. Forms are also available for service transfers, upgrades and remodeling. Rochester Gas & Electric offers financial assistance to qualifying customers, including the Energy Assistance Program and the Home Energy Assistance Program. The Home Energy Assistance Program is a federal grant that helps with energy costs and weatherization. If you are eligible then you may receive a yearly HEAP benefit each year. Rochester Gas & Electric (RG&E) is a subsidiary of Iberdrola USA that provides gas and electricity to over 600,000 customers in New York counties, centered around the City of Rochester. This utility is working on new ways to improve sustainability and reduce carbon release, and last year RG&E and NYSEG their increased power production from hydroelectric power by 14%.